Photographers checking out the 5 D750s at the event. 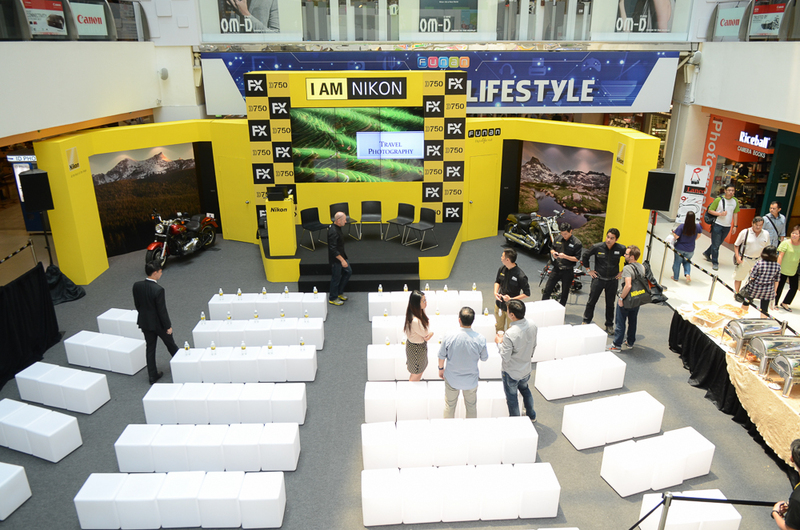 CK: The event also showcased Nikon’s telephoto lenses like the new AF-S 80-400mm and the 400mm f/2.8. We were rather amused that the latter is mounted on a rather flimsy ballhead while the comparatively smaller/lighter 80-400mm was on a Wimberly setup! We informed Nikon about this and hopefully they did something about it before something bad happened. 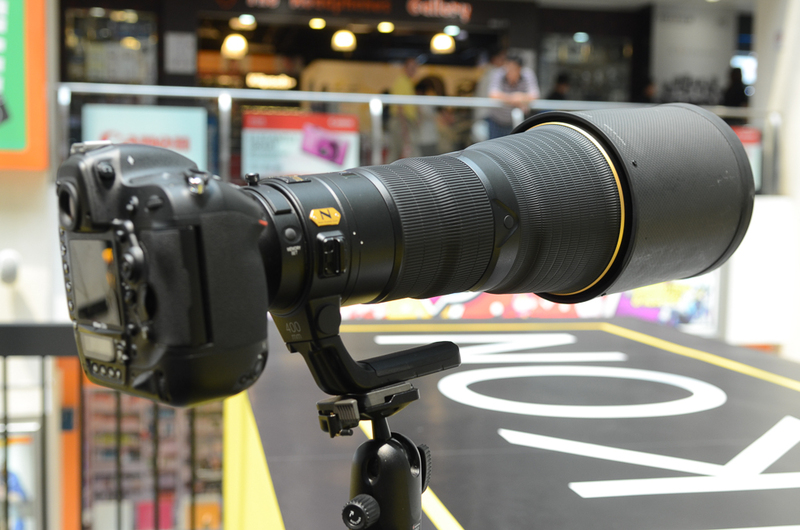 A rather precariously-mounted Nikon D4S with a AF-S 400mm f/2.8! YS: Never really liked Manfrotto ballheads, so I guess Cathay Photo (one of the co-sponsors and the Singapore agent for Manfrotto) wanted to prove me and others wrong? At least it did hold up throughout the event! CK: Four Nikon Professional Photographers – New Zealand-based Chris McLennan (who is also a Nikon Ambassador), Singapore-based Alex Soh, Imran Ahmad and Bryan Foong were featured at the 4-day event which also included a mini exhibition of their works. A section of the photo exhibition showing Bryan Foong’s photos. 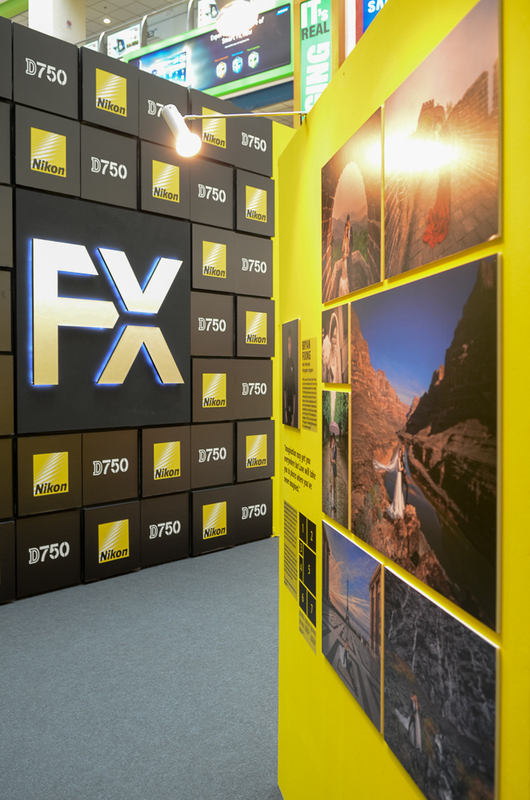 Nikon is heavily pushing FX recently. The four featured photographers each have their own areas of specialty – Chris for landscape/wildlife, Alex for travel photography, Bryan for wedding photography and Imran for underwater photography. 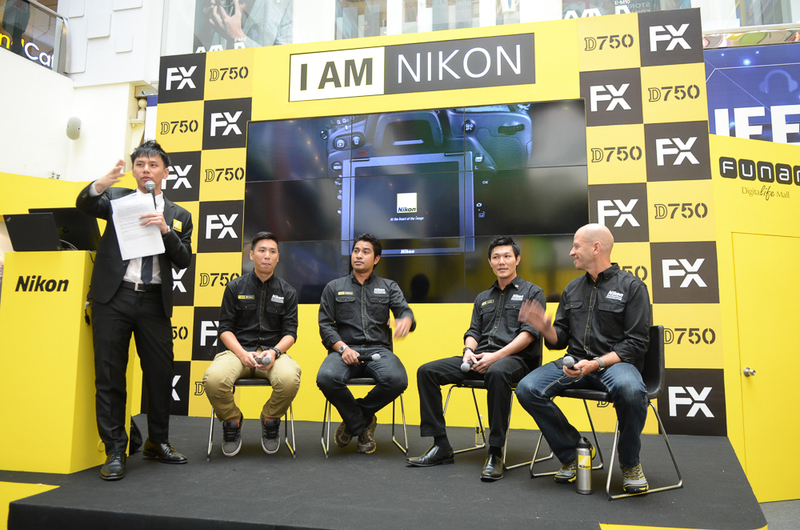 Nikon Professional Photographers Bryan Foong, Imran Ahmad, Alex Soh and Chris McLennan sharing their experience and tips on stage. During the informal sharing session, the four photographers took turns to share their experiences and tips of their photographic experience. Among the tips shared are to take advantage of digital photography to practise and hone your skills, travel to different locations to experience different scenes and to persevere to achieve the shot that you want to take. On that, Alex shared with us his arduous 15km trek up Huangshan, China which he had on multiple occasions wanted to give up but pressed on and got the shots that he wanted. Imran mentioned the importance of imagination, and suggested looking at photos from magazines and the like to get inspiration and ideas to help you pre-visualise the kind of shots possible. Another tip presented is not to be afraid of bad weather, as they sometimes present greater opportunities (and thus better shots) compared to the usual “blue sky” shots. YS: Bryan also shared with us how he cajoled various couples to pose in some rather difficult areas, including the un-restored portions of the Great Wall of China. Some couples are rather daring, I guess. I don’t think I’d want to trek up a thousands steps while in a tuxedo. CK: Chris recounted shooting in the arctic on snowmobile in freezing -50ºC temperatures (-70ºC with wind chill) and how it’s harder to keep his fingers going compared to his Nikons, a testimonial to their reliability. He has also brought some of his cool toys, including a newly-ordered drone which he has not tested yet, a smaller custom-made drone fitted with a Coolpix A and a small remote-controlled 4×4 buggy which he had used to shoot wild lions in Botswana. The shoot was captured in a video titled “Car L Meets the Lions” which had gone viral with 6 million views on Youtube! YS: One common theme throughout the talk was the old adage: Practice, practice and practice. Or as it is for photographers, shoot, shoot, and then shoot some more. No one got better sitting in front of the computer. 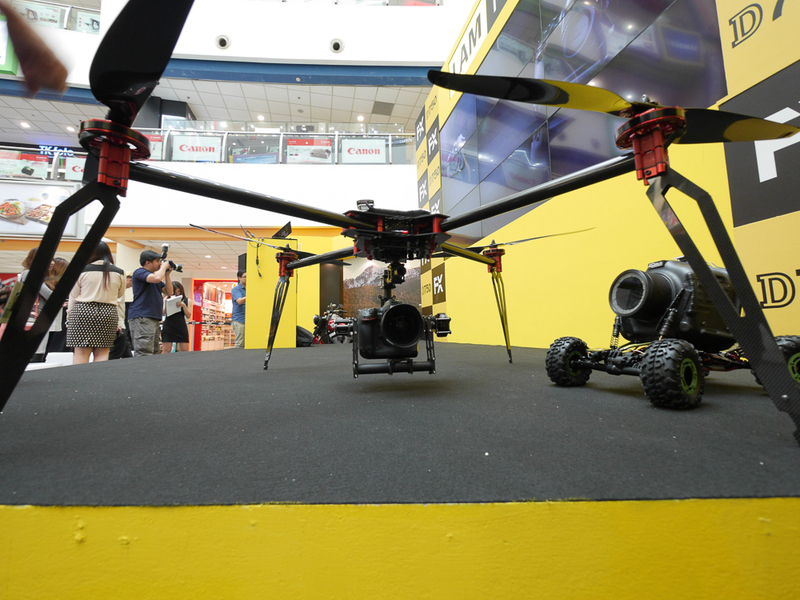 Cool tools of the trade – A Nikon D4S mounted on a large drone and a remote-controlled 4×4 camera buggy. 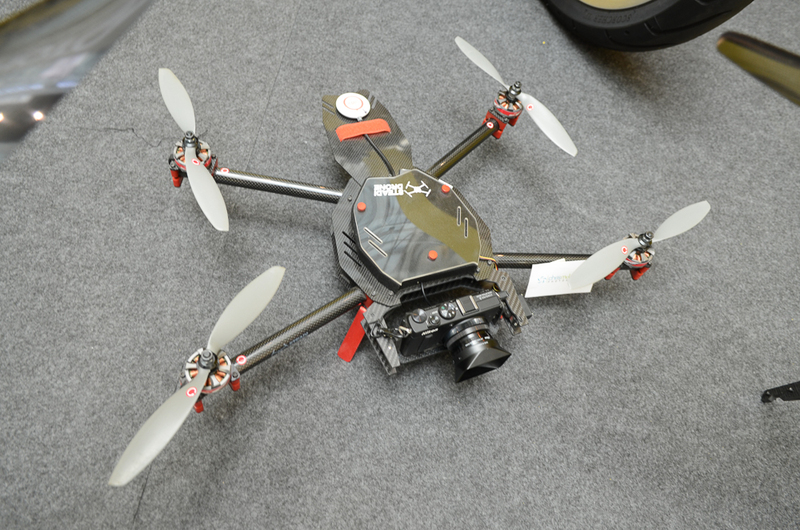 A custom-made drone outfitted with a Nikon Coolpix A.
CK: We also took the chance to play with the D750 a bit more, and managed to play with the power aperture feature previously found only on the higher-end bodies like the D4S and D810. 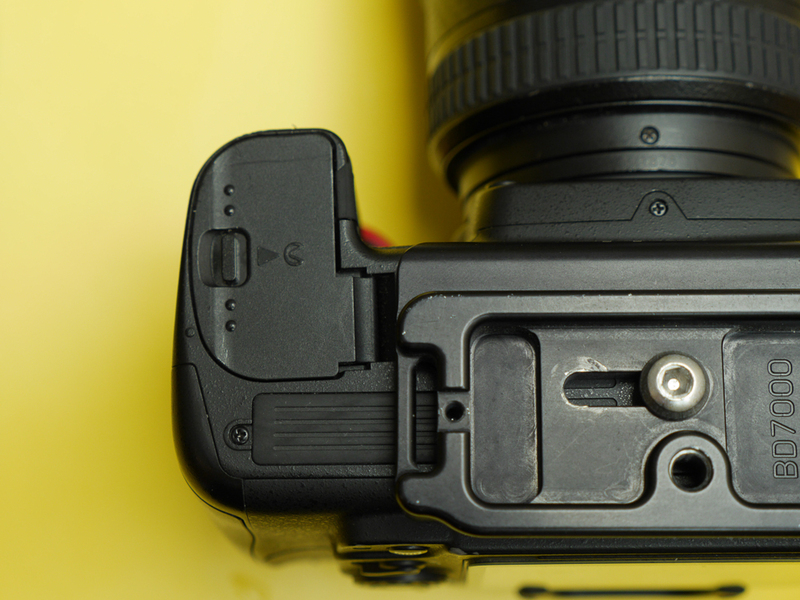 Before the D750, it wasn’t possible to adjust the aperture in live view mode or while shooting video on the prosumer/consumer bodies like the D7000 or even the D610. It’s great that Nikon finally made it available on the D750. With power aperture, you can now almost steplessly ramp the aperture value up and down smoothly, even while shooting video, and the controls can be assigned to the multi-selector or the two buttons in front of the camera. YS: Power aperture is now really usable while shooting. Now how about getting manual focusing aids to work while recording? Magnification works before the recording starts, but not during. A bit of an oversight considering all the improvements made to the video capabilities in the current line of Nikon DSLRs. CK: I brought along my D7000 for the free sensor cleaning Nikon has provided, and compared the body size/feel with the D750. The latter sports a noticeably deeper grip, making it much nicer to hold. 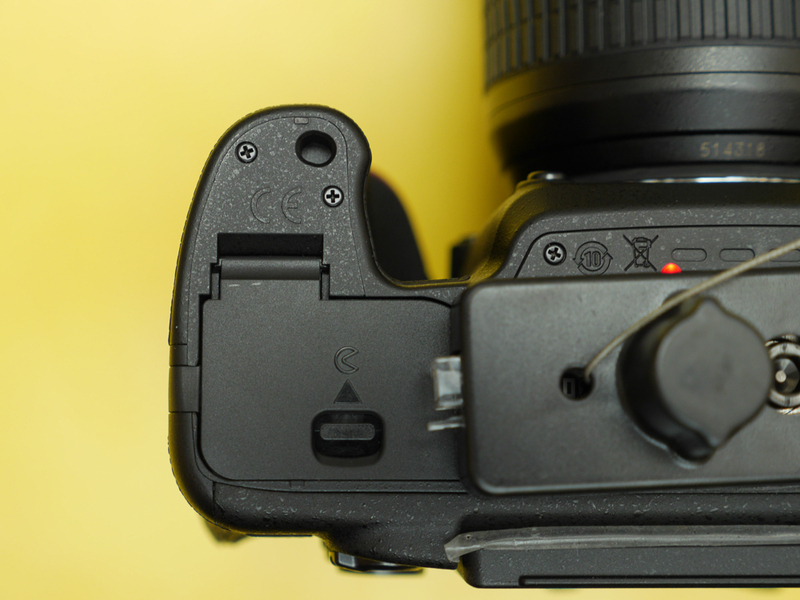 The D750 is also slightly thinner, smaller and lighter than the D7000. YS: I really do like the grip on the D750, in a way it reminds me of my GH3’s: Deep without being part of a bulky camera. The more I handle the D750, the more I like it. If I need a 35mm camera, I think the D750 will likely be it, barring any unpleasant surprises with the image quality. Coupled with the range of f/1.8 primes Nikon has been putting out, the D750 looks like a capable shooter while maintaining a small size. As for the event, as of this writing, there is still a day left before it ends on the 5th of October 2014, so if you’re in Singapore, head down to Funan Digitalife Mall, view the hardware on display, and listen to the talks! 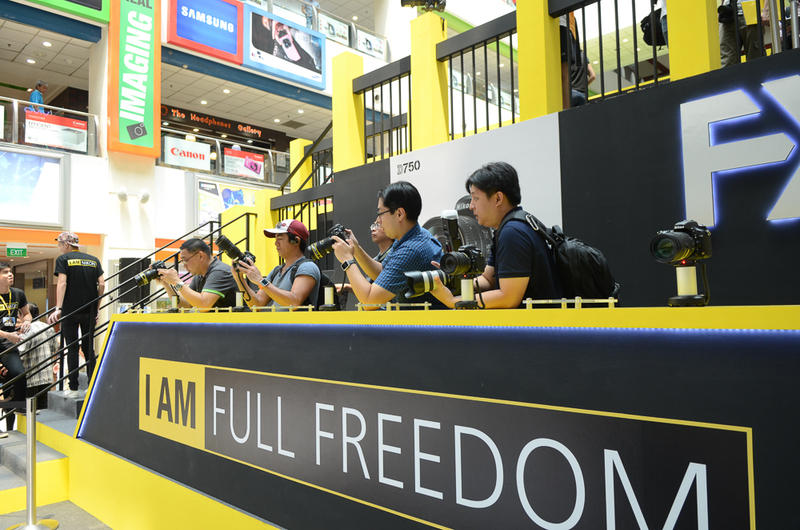 This entry was posted in First Impressions, Photography and Gear News and tagged D750, event, f-mount, fx, i am full freedom, Nikon by Cheng Kiang. Bookmark the permalink.